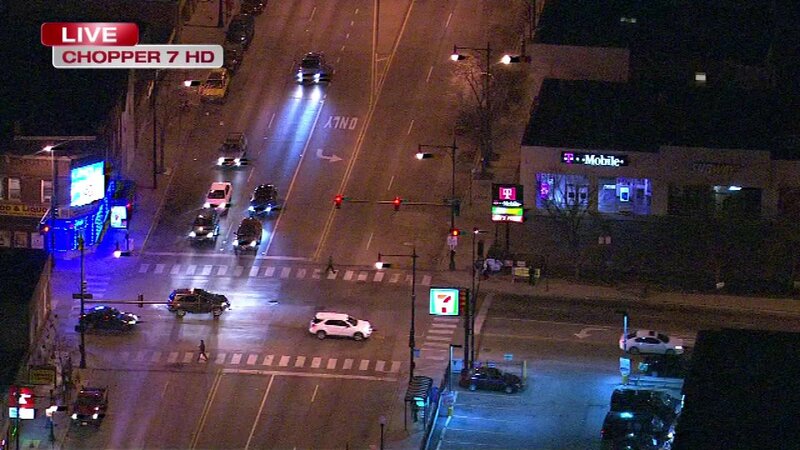 One of a string of armed robberies in Albany Park was reported near Montrose and Kimball avenues. The Cook County District Attorney's Office said a suspect, age 15, was charged with robbery and theft from a person in a string of armed robberies in Albany Park Sunday night and Monday morning. On Monday morning, police put out an alert for a stolen black Nissan with up to four suspects inside after nearly a dozen people were held up Monday. Police said the same group could be responsible for as many as 16 armed robberies in the area. At about 1:30 p.m., police located the vehicle in the 7600-block of Rogers Avenue. Two people were seen running from the vehicle and were taken in for questioning without incident, police said.